May has become a nearly overwhelmingly busy month, and it’s already a third over. 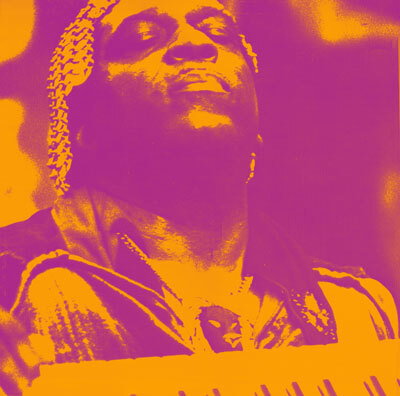 An event that has consumed much of my attention and that I am very excited about is the organizing and presentation of The Angel Race Big Band celebrating the life and work of Sun Ra. This show will be part of the grand opening of +Solo, a new experimental music gallery in Jacksonville, FL, and will take place on Friday, May 25th. +Solo co-founder Jamison Williams has put together an amazing grand opening that will take place on the 25th and 26th. Experimental and improvising artists from all over will be on hand. Definitely, an event not to be missed. The Sun Ra commemoration is in remembrance of the anniversary of Sun Ra leaving this plane of existence in 1993. The Angel Race Big Band, named after one of Ra’s compositions, will include many of the musicians performing during the +Solo grand opening. The piece will consist of Sun Ra compositions, improvisations conducted in the manner of Ra, as well as spoken word audio from the man himself. Before this is to take place, there is the matter of my visit across the northern border to the town of Victoriaville, Quebec to experience the mecca of experimental and improvised music, FIMAV. This year’s line-up looks extremely tasty, even for a seasoned visitor as myself. In the years since my first FIMAV, 1989, I have missed very few. Go and check out the schedule! The Wednesday after the Sun Ra set (May 30) finds me heading southbound on I-95 to the palm fronds of Miami and another amazing performance space, PAX, where I will be performing in the quartet, Entirely Experimental Ensemble, named by the organizer of the performance, Stephen Magagodi. The quartet will consist of some of my favorite musicians, Kris Gruda, Steve Bristol and Kyle Motl. This will be fun! A lot going on in the next two and a half weeks. Now, back to work. This entry was posted in experimental music release, Improvisation / new music, live experimental music and tagged +Solo, experimental music, FIMAV, improvisation, improvised music, Jacksonville, Miami, PAX, saxophone, Sun Ra, Victoriaville by jimivy. Bookmark the permalink.